ST. GEORGE – A state senator has launched a signature-gathering campaign as a way to try to convince Mitt Romney to run for the U.S. Senate in 2018. Officially launched Monday, the “Recruit Romney” campaign is the brainchild of Sen. Dan Hemmert, R-Orem. Hemmert, along with Sen. Lincoln Fillmore, R-South Jordan, and Rep. Jefferson Moss, R-Saratoga Springs, wants to use the campaign as a way to show the former Massachusetts governor that he has strong support in Utah to run. “If you want good government, you need good people in government,” Hemmert told Fox 13 News Monday as the three men stood at the state Capitol to officially announce and launch the grassroots campaign. To aid in this venture, they also created RecruitRomney.com where digital signatures can be gathered. While the three state lawmakers want Romney to run for Senate, their campaign is not an effort to unseat long-serving Sen. Orrin Hatch. “(Hatch) has done an awesome job for Utah,” Hemmert said, according to the Associated Press, but he still wants to see a Sen. Romney. Hatch has said in the past that he wouldn’t mind seeing Romney take his place in the Senate if he stepped out. However, Hatch has also said he may likely run for another term as well. 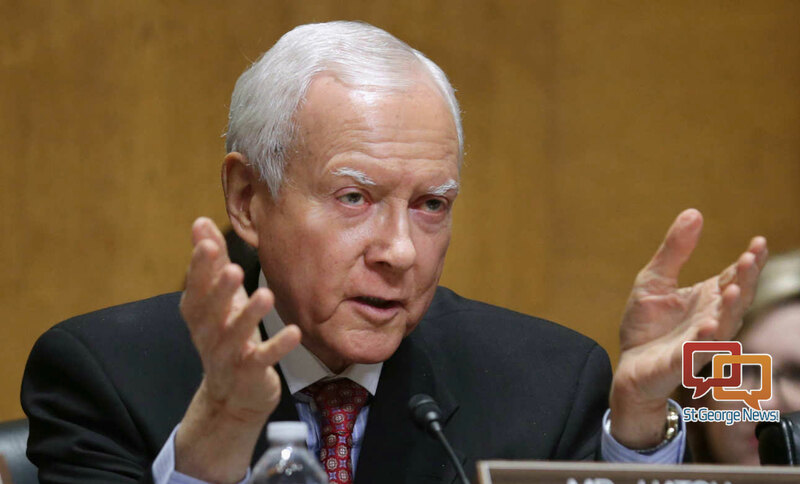 Hatch’s Office has said the senator won’t make an official decision until the end of the year. Senator Hatch appreciates this group’s recognition of what it would mean to ‘lose his powerful voice’ fighting for Utah in Washington. While he has not made a final decision about whether to seek re-election, he appreciates Governor Romney’s pledged support should he decide to run again. Though he voted for President Donald Trump, Hemmert said Romney would be a good counter to the president because he thinks before he speaks and isn’t as bombastic. Just as the campaign isn’t protesting Hatch, neither is it protesting Trump or his policies, Hemmert said, according to the Associated Press. Surely we can find a conservative Utah native that can serve better that this Massachusetts-alien sponsor of RomneyCare. Of course, if you support the continuation of the DC swamp, it’s my opinion that he’ll fit right in. Exactly. But the locals love him because, well you know. Good grief, he can’t really be elected here, can he? Mitt’s a snake, He’d throw his own mother under the bus to further his career. The only thing Romney is worried about is his pocketbook! He is no good for Utah! He moves from State to State, just to pad his Bank Account! Hope people are smart enough NOT to elect this IDIOT! Mitt is a poor choice and we don’t want him. My message to you mitt you are the worst choice we could make the only way you could win is if Hillary was running for the seat besides we don’t want a guy that talks trash on our president and then. Try to be his friend. I see why he did not choose you for a appointment. I always thought Romney would be great representing Utah, UNTIL he made so many terrible derogatory speeches degrading President Trump. Those words really opened my eyes as to how very buried in “establishment politics” he really is. It would be a big mistake to even nominate him to represent out state. We need someone who represents Utah!! And just so you know, I am one of those “you know” Utahns that you might think would love having Romney. I don’t, and I know plenty of “you knows” who also don’t want Romney.